Researchers at the ESRI said other EU countries bring in extra revenue by applying higher income tax rates for everyone – not just the higher earners. AN ESRI STUDY has found that Ireland takes in a smaller share of national income in tax than almost all of the other EU-15 countries. The research by four senior researchers at the Economic and Social Research Institute found that other European countries – particularly Germany, Austria and Scandinavian countries – have higher taxes on income, including income tax, employee social insurance contributions, or employer contributions. The researchers pointed out that the majority of the other EU countries don’t apply high income tax rates for those earning the most money, but rather use a progressive system which ensures low, middle and high income earners alike all pay a fair share. Ireland’s tax rates have been the subject of much discussion during the government’s tenure, with the Fine Gael-Labour coalition repeatedly saying that it will not increase income tax rates during its term in office. The Department of Finance has estimated that a 2 per cent increase on the top rate of tax (i.e. from 41 per cent to 43 per cent) would bring in almost €1 billion (€923 million) in one year. A 2 per cent increase on the standard rate of tax would bring in €385 million. 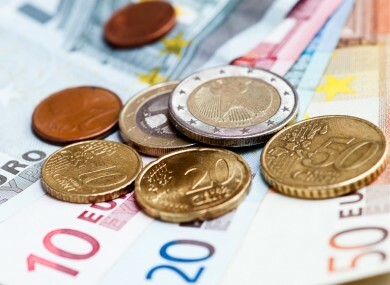 Separately a higher rate of income tax of 48 per cent on all pay over €100,000 has been estimated by the Department of Finance to bring in €365 million in one year. Income tax in Ireland is set at 20 per cent for income up to €32,800 and 41 per cent on any remainder. The standard cut-off point for a single person is €23,800. The Universal Social Charge, which replaced both the income levy and the health contribution two years ago, is 7 per cent on incomes above €16,016. Email “Ireland's tax levels could be higher, suggests ESRI”. Feedback on “Ireland's tax levels could be higher, suggests ESRI”.